Option 1 – 199.00 lv. Option 2 – 179.00 lv. Option 3 – 159.00 lv. Crystal Burger & Steak will be part of the third edition of the festival for quality restaurants, Sofia Restaurant Week. From the 10th till the 16th of September you will be able to enjoy a choice of two tempting menus prepared specially for the festival. 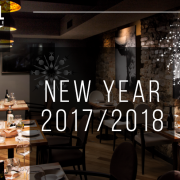 You will be able to try author gourmet burgers and quality meat in a stylish atmosphere and a terrace with a heart stopping view towards Vitosha mountain. 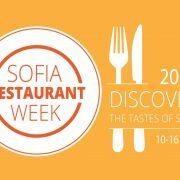 For second consecutive year Crystal Steak House is part of the festival for quality restaurants, Sofia Restaurant Week. We are proud to be part of that culinary adventure, which is enjoying more and more interest. We will offer our guests irresistible temptations in a modern and elegant ambience. Here you can see the two options of the three course menus that we have prepared specially for the festival.